Ten Imperatives on How to Create and Sustain New in Business or Organizations. Author Robert F. Brands, having gained hands-on experience in bringing innovation to market,creating and improving the necessary product development processes and needed culture, he delivered and exceeded to bring “at least one new product per year to market” resulting in double digit profitable growth and shareholder value. 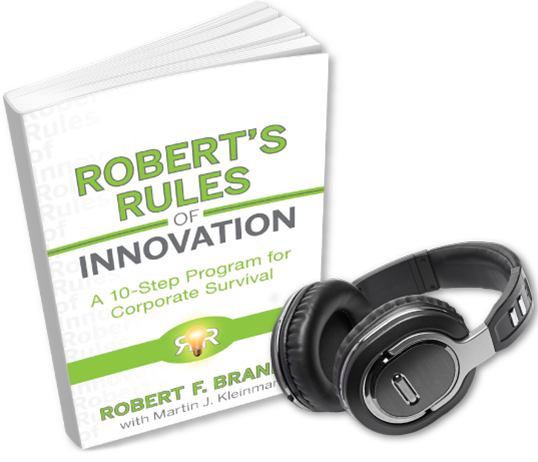 Innovation does not come by itself, it requires a culture and desire to deliver that needs to be reinforced by itsleadership and once fruits of its labor are starting to show is fuels the fire.